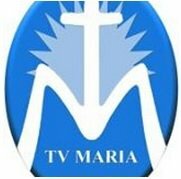 Religious TV Channel / TV Maria is a national Catholic television channel broadcasting from Manila, Philippines. Owned by TV Maria Foundation Philippines (a non-profit, non-stock organization under the Catholic Bishops' Conference of the Philippines and the Roman Catholic Archdiocese of Manila), it airs 24 hours a day and is currently available on major and provincial cable operators, and via online livestreaming. Most of the station's programmes are both in-house productions and packaged shows from Jesuit Communications Foundation, Kerygma Foundation, Family Rosary Crusade, Society of St. Paul, and other Catholic groups.